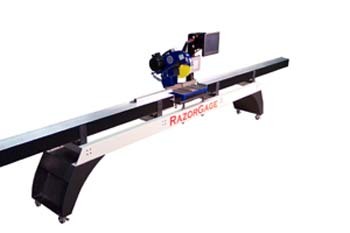 In itâ€™s simplest form, the RazorGage is used as a programmable saw stop. 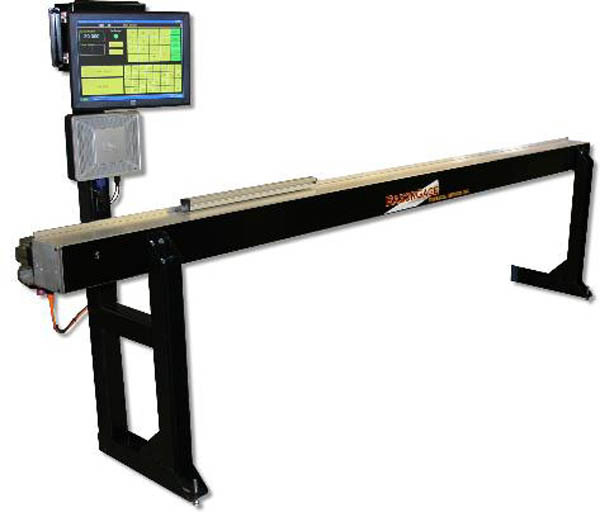 Mounted next to a saw, the RazorGage positions a stop against which the lineal stock is placed. 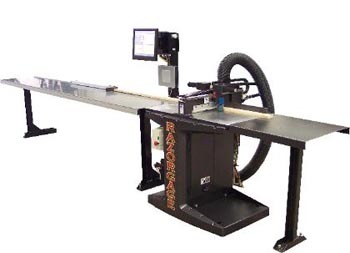 When the operator cycles the saw, the part is cut to a precise length. RazorGage includes a PC and a 15â€� LCD touch screen. 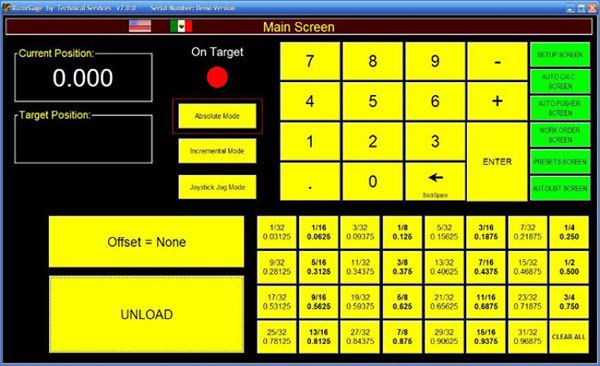 A number of special functions are included in the software to even further improve productivity at the saw including Fraction Hot Keys, 256 Preset Buttons, AutoPusher Screeen, Download Work Order Screen, and the optional AutoList cutlist download, defect, and optimizing feature. With the powerful AutoList option you gain the double benefit of productivity gain (downloading your cut list will eliminate extra, missing,and wrong dimension parts) and increased material yield (by letting the optimizer fit parts into the defect-free areas of your material).